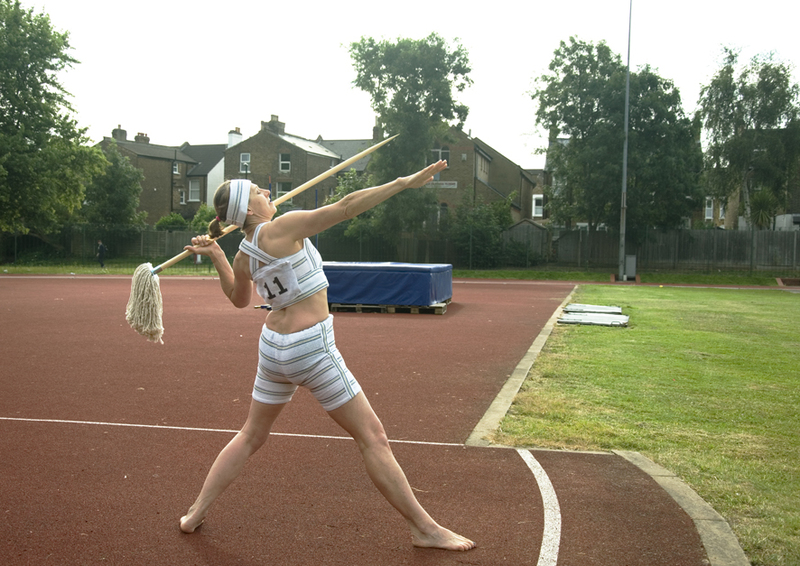 ​This series is inspired by the history of women being barred from the Olympic stadium and was made on location at athletics stadiums in London during the Rio Olympic Games. 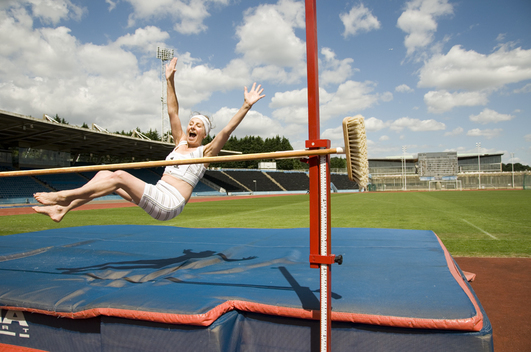 Domestic Heptathlon looks at the restrictions women encounter in their quest to participate in sporting events and humorously suggests ways in which they can overcome some of the barriers they face. 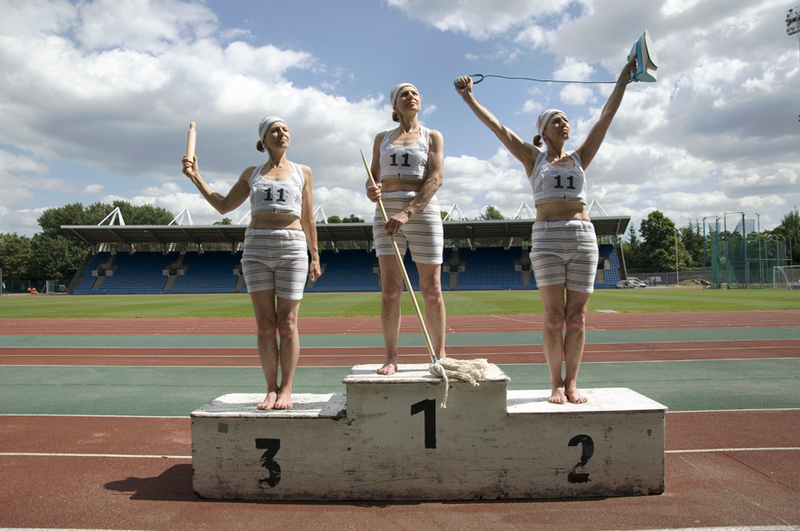 ​The competitor number 11 was chosen because of an article by John Tunis in the New York Evening Times in 1928 with the headline ‘Eleven Wretched Women’ in which he fictitiously reported that of eleven women who ran their first Olympic 800 metres only one finished intact, resulting in women being barred from the race for the next 32 years.